FAIRFIELD, Conn (March 26, 2019) —Thousands of children are still in need of permanent housing six months on from the devastating earthquake and tsunami which hit Central Sulawesi in Indonesia in September 2018. An estimated 6,000 children1 are still living in temporary housing, and their daily lives involve navigating open sewers and mounds of sharp rubble. This exposes them to diseases such as diarrhea and pneumonia. There has already been a significant outbreak of Dengue fever in Indonesia. “While tens of thousands of people have been reached, six months after this disaster we are extremely concerned about the estimated 6,000 children still living in temporary shelters such as tents, as well as the thousands more that are living in homes that have been damaged. The temporary accommodation is basic – tents or makeshift homes – and often have bare floors, which flood when it rains,” said Tom Howells, Save the Children’s Response Team Leader in Indonesia. 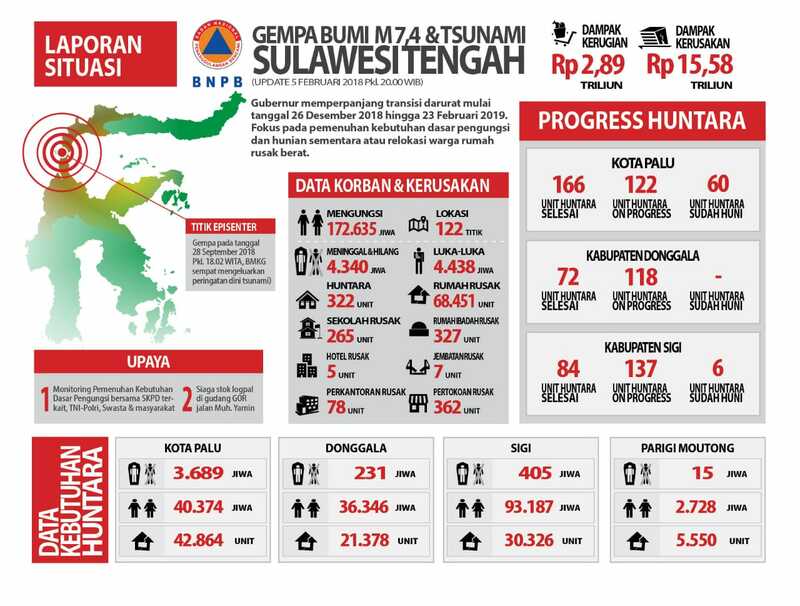 More than 4,300 people were killed and over 170,000 people displaced in the disaster in Sulawesi, which was Indonesia’s deadliest in over a decade. The event also severely damaged or destroyed over 40,000 homes. This included houses which completely disappeared in the rare ‘liquefaction’ phenomena that caused tracts of land to take on the characteristics of a liquid3. Salsa, 10, has lived in a tent with her parents since the tsunami destroyed her home. The tent has no floor, and the door is covered with a blanket, which cannot be securely closed. Since the disaster struck, Save the Children in Indonesia (Yayasan Sayangi Tunas Cilik) has been working to ensure children’s immediate needs are met and essential services can operate. In response to the urgent shelter needs, the agency has already reached over 100,000 people with shelter kits, hygiene kits, clean water kits and mosquito nets. The agency has also run carpentry training with handymen from three badly affected villages and has provided vulnerable families with cash so they can rebuild their own shelters. Save the Children has been working on the ground in the affected communities since this disaster struck. At the outset, we focused on reuniting separated children and providing emergency water, shelter and sanitation to desperate families. Over the coming months, we will move to longer-term sustainable solutions, such as building learning centers, helping people rebuild their livelihoods and ensuring people, especially children are prepared for ongoing aftershocks and future disasters. To date, Save the Children has reached over 140,000 people, including over 70,000 children. We have distributed shelter kits, hygiene kits and water kits to over 25,000 households, making sure children and their families have a roof over their heads and are less vulnerable to diseases caught through dirty water. Save the Children is running over 50 child-friendly spaces, which give children the opportunity to recover, play, and be children again, while their families rebuild their lives and livelihoods. We have reached over 9000 children and adults through psychosocial interventions, helping them to recover from the intense fear and stress that such a terrifying event will cause. And we’ve established 26 temporary learning spaces, where children can access learning opportunities while their classrooms are rebuilt.